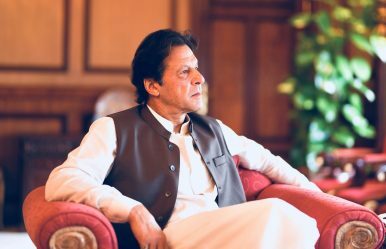 Pakistan Prime Minister Imran has been able to handle his political rivals very skillfully since coming to power around seven months ago. So far, Khan has not faced any major challenge from political parties in opposition to his Pakistan Tehreek-e-Insaaf-led coalition. However, can this change with two mainstream political parties gearing up to take on Khan’s government? Bilawal Bhutto, the chairman of Pakistan’s People Party (PPP), has announced that his political party will expose the government’s claims of implementing various major economic and governance reforms. Moreover, the PPP’s leadership is of the view that Khan’s government has not been able to implement the National Action Plan (NAP) against terrorism in the country. “I demand a joint parliamentary committee for implementation of National Action Plan and removal of all three federal ministers for their connection with the extremist organizations. If our demands are not met we would not support the government over any move,” said the chairman of PPP recently. This week, the PPP started a long march against the government as the former believes that Khan’s focus remains on victimizing the political opposition rather than delivering on his electoral promises. The allegations being made by the PPP are not completely factual. While Khan continues to struggle in terms of managing some provinces effectively, corruption scandals and bad governance have remained a hallmark of the PPP’s previous governing tenures. The PPP has ruled in the province of Sindh for decades and yet issues such as an inadequate supply of clean drinking water, frequent starvation phases in various districts, street crime, and plummeting economy remain a concern. The leadership of the PPP is currently facing cases in the country’s courts concerning its involvement in mega corruption scandals in the province. The party has remained quiet for the last six months. However, as Khan doubled down in his efforts to deliver on the electoral promise of holding corrupt political leaders accountable, PPP finds itself in a tough spot. If the party doesn’t go out in the streets and call the government’s actions political victimization, it may not have a party structure in the coming months. The panic is evident in the PPP’s ranks: the party recently termed the government’s decision to return an Indian pilot, whose plane was downed in Pakistan recently, an act of surrender. Moreover, the PPP blamed the government for not doing enough to tackle various proscribed organizations in the country. These announcements on the part of the PPP have not only angered the government, but also some other institutions in the country. The fact that the PPP is offering statements that deny the state’s stance of taking on terrorism without any discrimination only undermines the narrative that Pakistan is slowly building against extremism. Regardless, it’s clear that the PPP’s leadership is not going to find any respite with allegations related to Khan’s inability to implement the NAP completely. On the other hand, the former prime minister of Pakistan, Nawaz Sharif, was released on bail by the country’s top court for six weeks. Sharif has been facing a number of cases concerning his political party’s involvement in various corruption scandals. More importantly, Sharif and his political party’s future remains unclear due to a number of reasons. First, there is an intra-family feud linked as to who will lead the Pakistan Muslim League-Nawaz party after Sharif retires from politics. Second, there is another debate concerning divisions within the party’s ranks when it comes to formulating a strategy to deal and interact with various state institutions. Sharif’s agenda during the last general election solely focused on targeting the country’s courts and the national security establishment. Sharif believed that both institutions didn’t want his party to win the election at the federal level. This is a narrative that has undermined Pakistan’s image as a country where democracy is taking root. While Sharif could not win the election due to Khan’s ability to make political alliances in the province of Punjab, he has surely made a lot of enemies in the country. Nawaz Sharif may have been released from prison but it doesn’t mean that his political party is any condition to make a strong comeback anytime soon. All in all, Khan’s government doesn’t face any real challenge from the political parties in opposition regardless of what his critics say concerning the government’s performance. However, Khan needs to make sure that effective governance becomes a hallmark of his rule. If Khan delivers on on the governance front, everything else would become secondary.